Site: located in the Beaune area, above the city of Beaune. The appellation Côte de Beaune is given to wines coming from vineyards located on top of the hill overlooking the city of Beaune. It should not be confused with the appellation Côte de Beaune-Villages, the latter given to wines coming from several villages of the Côte de Beaune (but not Beaune itself) and blended together. 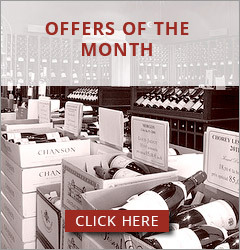 Côte de Beaune-Villages as an appellation is used only for red wines. 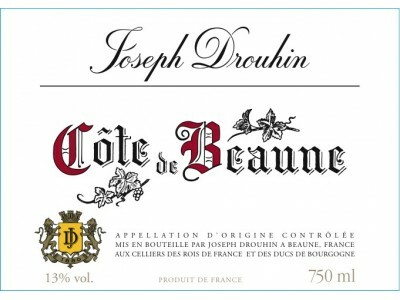 History & tradition: this interesting and unusual wine comes from the estate of Joseph Drouhin on the Côte de Beaune (the slope above Beaune) and some declassified wine from the young vines of the famous Clos des Mouches vineyard. Soil: lay and limestone. The light soil gives great finesse to the wines. Drouhin estate: 3ha. (7.5 acres). Biological cultivation since 1990; biodynamic cultivation a few years later. Yield: we aim to keep our yields low, more in line with the previous regulation, around 20% less than allowed by the current law. Supply: grapes and must purchased from regular suppliers. Sorting: if necessary, the grapes are sorted twice : once when being picked, the second time on the sorting table at the winery. Pressing: very slow so as to respect fruit. Juices from the very last pressings are not retained. The wine goes directly into barrels after "débourbage" (decanting of white wine to reduce sediment). Origin of the wood: French oak forests (Tronçay in particular). "A truly delicious and harmonious wine. Pale gold color, very bright. The aromas bring to mind honey, almond and lemongrass (citronella). As the wine matures, intense flavors of grilled hazelnut and almonds are in evidence". Cellaring: 3 to 5 years.